Counseling is therapeutic in nature, generally working to diagnose and treat a specific concern or issue in the patient’s life. Counseling is oriented towards healing the past as the way to move forward and is based on an expert-patient relationship. Coaching is based on the present and looking forward to create an intended future, with the client and coach working in partnership. Clients gain their own insights through guided conversation and inquiry, using those insights to break down the patterns of thought and behavior that have held them in their status quo. Consulting is based on an expert-client relationship that relies on the consultant to develop appropriate actions for the client to implement in their life or organization. The consultant is considered the expert and is hired to tell the client what to do. Coaching typically consists of one 60-minute session per week, with sessions conducted over the phone, Skype or in person. I am available to clients for “just in time” coaching between sessions by phone, text or e-mail. Each week, we will use new insights or awareness created during the session to develop practice areas that are designed to move you forward in your project or goal. Each session is tailored to the coaching request that you bring, ensuring that our time together supports you most powerfully in creating your intended results for that week. The length of the coaching relationship depends entirely upon your declared intentions and goals. Clients should plan on a minimum of 4 months of coaching; however, many clients continue working with their coach for significantly longer. One month’s notice is requested prior to ending the coaching relationship, to ensure that all open issues/projects are managed and you are empowered to move forward on their own. What qualifications should I look for in a coach? Additionally, you may ask the coach where they received their training and/or certification. 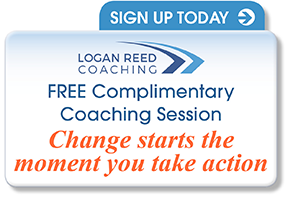 I recommend looking first at coaches who have received training through an accredited coach training program (“ACTP”) that has received accreditation through the ICF. Receiving ACTP training and certification ensures that your coach has met the rigorous requirements required to meet the standards set by the International Coach Federation.